President Muhammadu Buhari says he is not aware that the Inspector General of Police (IGP), Ibrahim Idris, left Benue State for Nasarawa State after he was ordered to relocate to the state. President Buhari said this on Monday during a meeting with some stakeholders at the Government House in Makurdi, the Benue State capital. On January 9, the President had ordered the Inspector General of Police to immediately move to Benue State to restore law and order and prevent further loss of lives and properties, due to attacks by herdsmen in the state. Although the IGP visited Benue after the President’s directive, the state government accused him of spending only one day in the state and then proceeding to Nasarawa State and spending several days there. 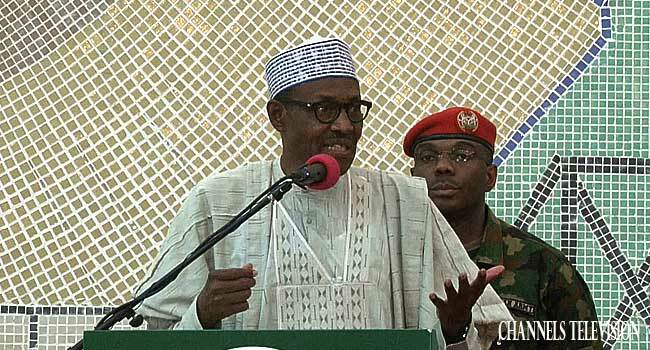 President Buhari who was visiting the state for the first time since suspected herdsmen struck the state on New Year’s Day, killing 73 and reigniting the debate over the herdsmen-farmers clashes, said he was just learning of the alleged noncompliance by the IGP. “What I did was to call him and give him (a) directive. And I didn’t know he moved here (Benue State) and didn’t spend (time) and then move to Nasarawa. It’s only now that I am knowing that. But I know I dispatched him here,” the President said. He added that as a loyal leader, he would engage the IGP for inquires upon his return to Abuja. “At every level, you have to be loyal to people below you. Whether that person is loyal to you or not is totally a different thing,” President Buhari said. The President also assured the people of Benue that he cannot overlook the killings in Benue or any other part of Nigeria. He said he is genuinely worried about the attacks in Benue and doing everything to end them. Beyond accusing the IGP of disobeying the President’s order, Governor Samuel Ortom accused him of being biased in the implementation of law and order and called on him to resign. This generated a war of words between the governor and the IGP which got the attention of the Senate, especially after the Force Public Relations Officer, Mr Moshood Jimoh, described the governor as a drowning man.